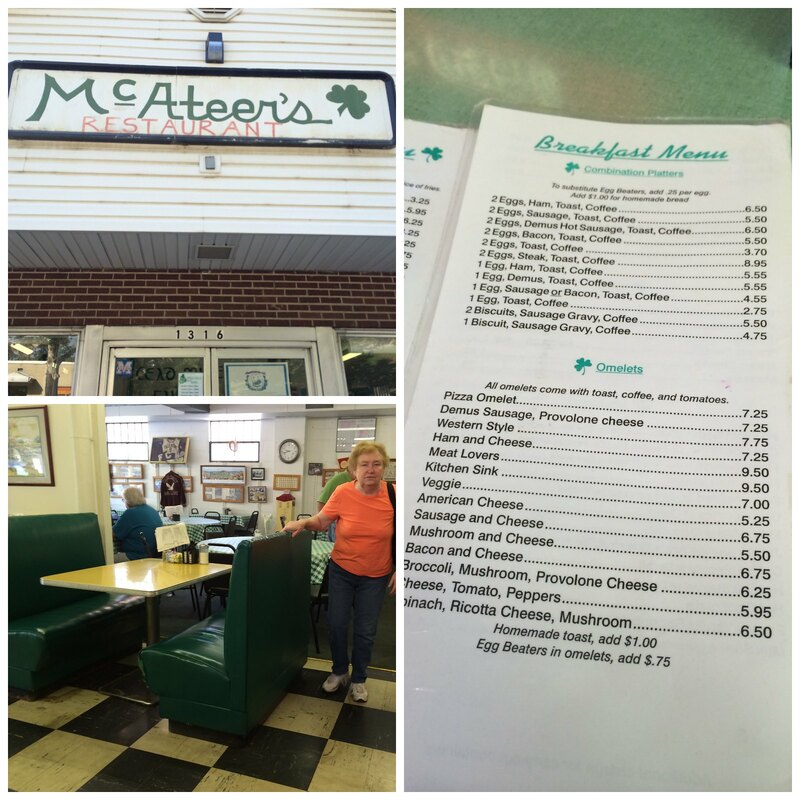 In our foodie adventure through Fairmont, Joel and I made our next stop at McAteer's Restaurant. I hadn't even heard of this place before, but that's kind of the magical thing about small, local places. The locals know them and, oftentimes, few others. We were there for breakfast, and I was trying not to get full. I wanted a taste of something - but not too much. So I ordered a single hot cake. 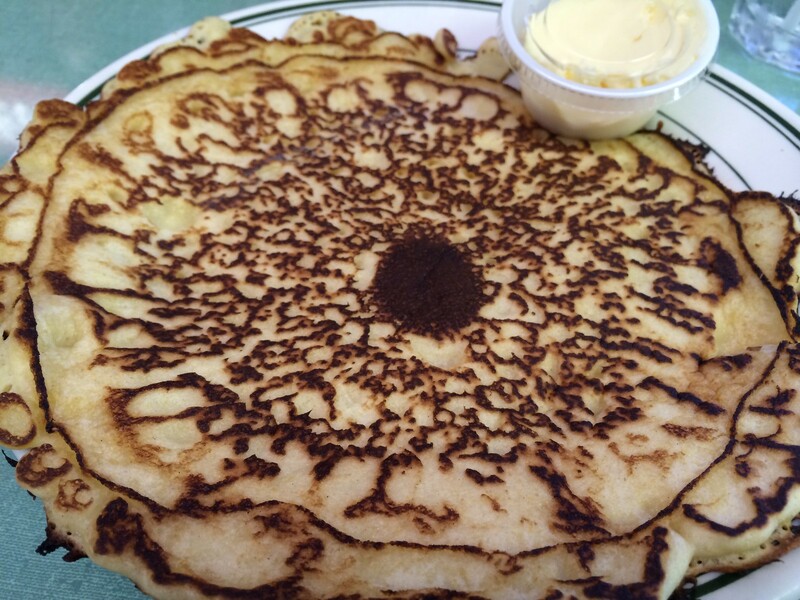 The hot cake, which eclipsed my plate, was flat and had a nice color - lightly brown in spots that touched the pan and darker around the center. A little dab of butter and a whole lotta syrup made for one tasty breakfast. Basic, but solid. 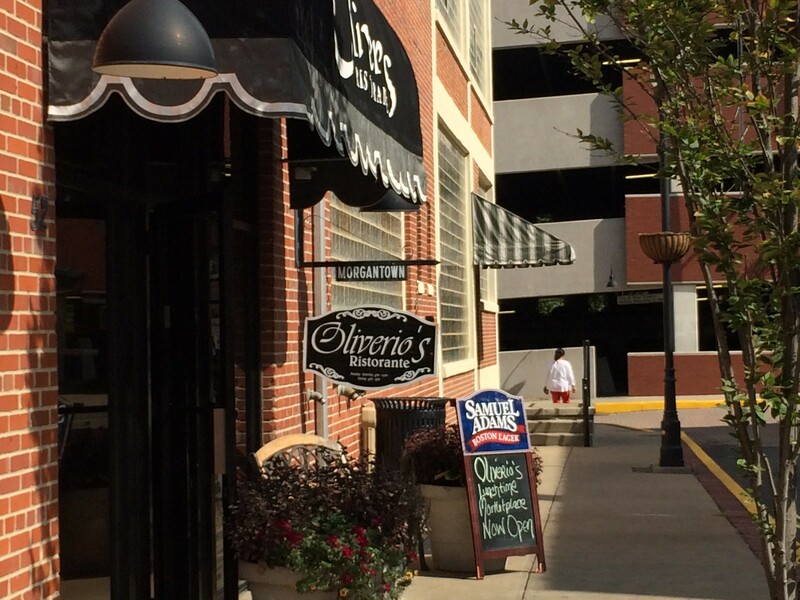 Oliverio's Marketplace has closed its location on Van Voorhis and is instead being run out of the main restaurant in the wharf - Oliverio's Ristorante. It's like two small businesses in one. The menu is exactly the same as what was at the Marketplace (literally, handed me a marketplace menu), but it's in the nice setting of the restaurant. So, for me, this means I have a new lunch option in Oliverio's. Woo. 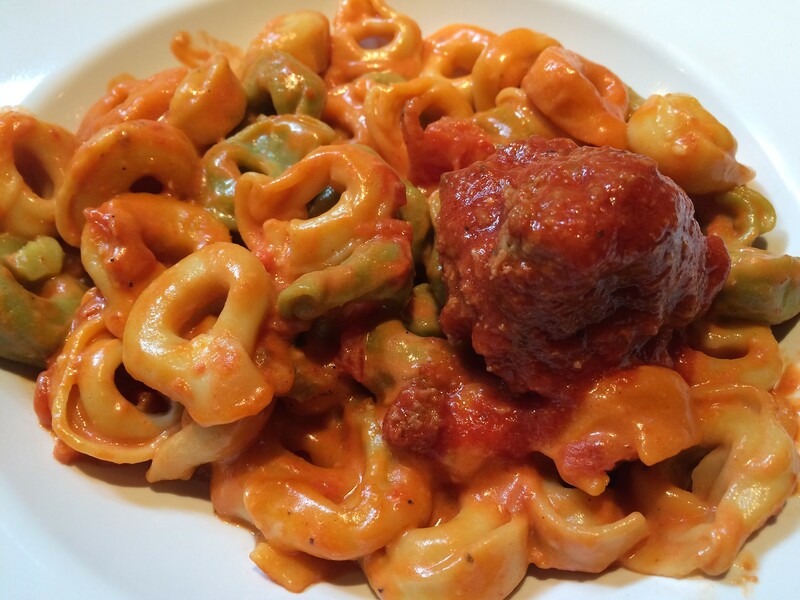 Tortellini with pink sauce and a meat-a-ball. P.S. We were literally the first customers. They just opened today. But more trickled in during lunch. I have a few friends who rave about Hickory House. Kayla, in particular, may be the president of its fan club. 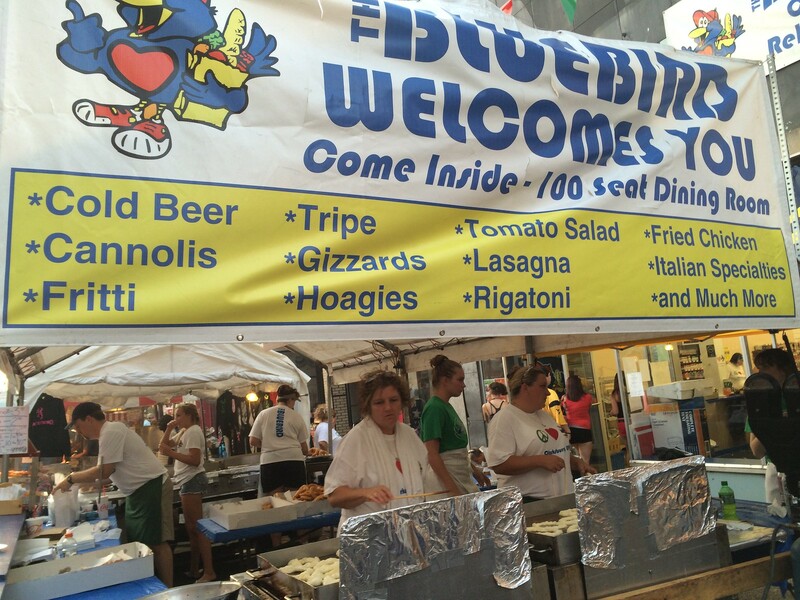 Because it's a little ways south of Morgantown, I haven't been able to get there until recently when I was in the area for the Italian festival. Finally. My chance. I'd try to explain how to get there, but I'll spare you. Google it. The restaurant is actually much larger than I thought once I was inside. It's homey and country and fairly busy. 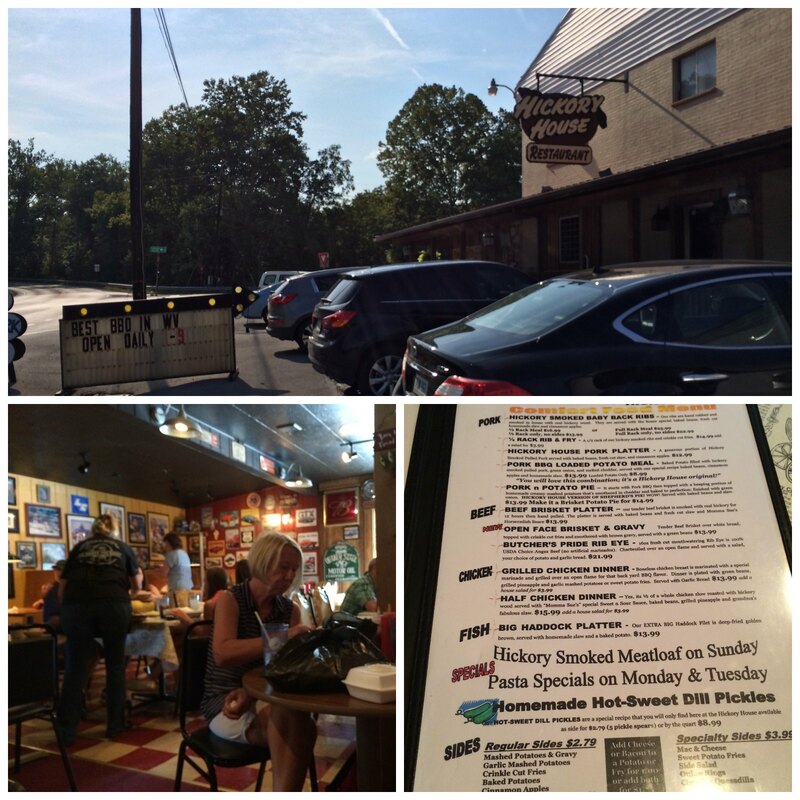 The menu has mouthwatering bbq meals and sides. 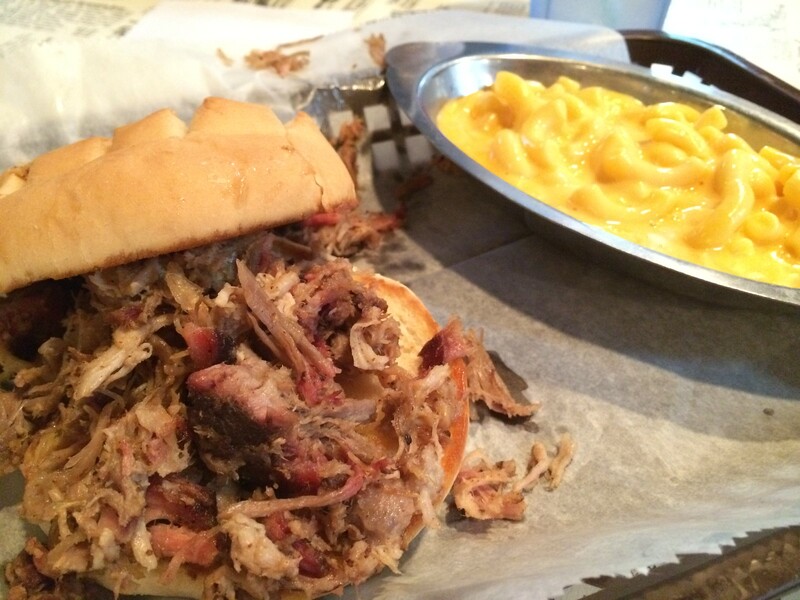 I ordered the pulled pork sandwich with a side of macaroni and cheese. Two kinds of sauce were already on the table - a regular and spicy. 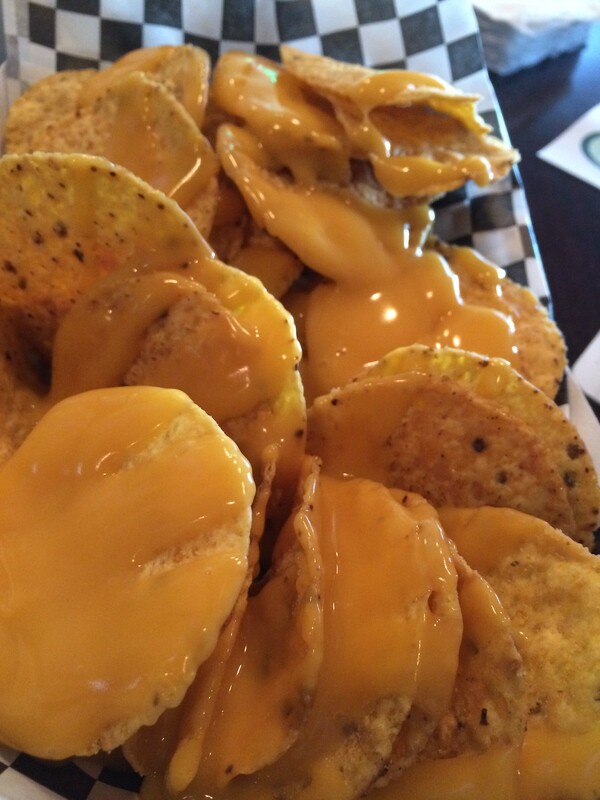 I took a little of both and mixed them and dipped just about every bite into that sauce. So good. Tangy and spicy and thick. The pork was tender and the bun was nice and warm. Super good sandwich. And the macaroni and cheese - homemade. All for a good price, too! 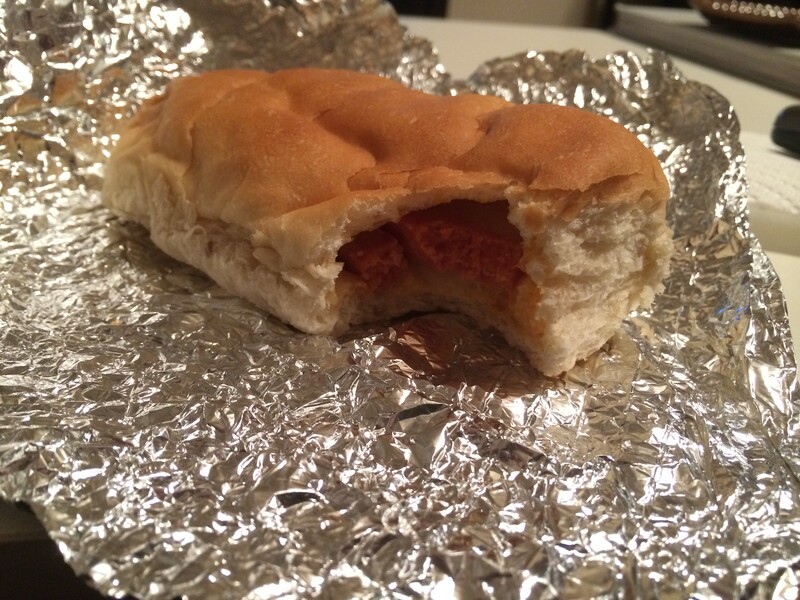 The birthplace of the pepperoni roll. Or at least one of the few rumored places. I wanted to come back to where it all started. What began as a portable lunch for miners turned into a symbol of the state. 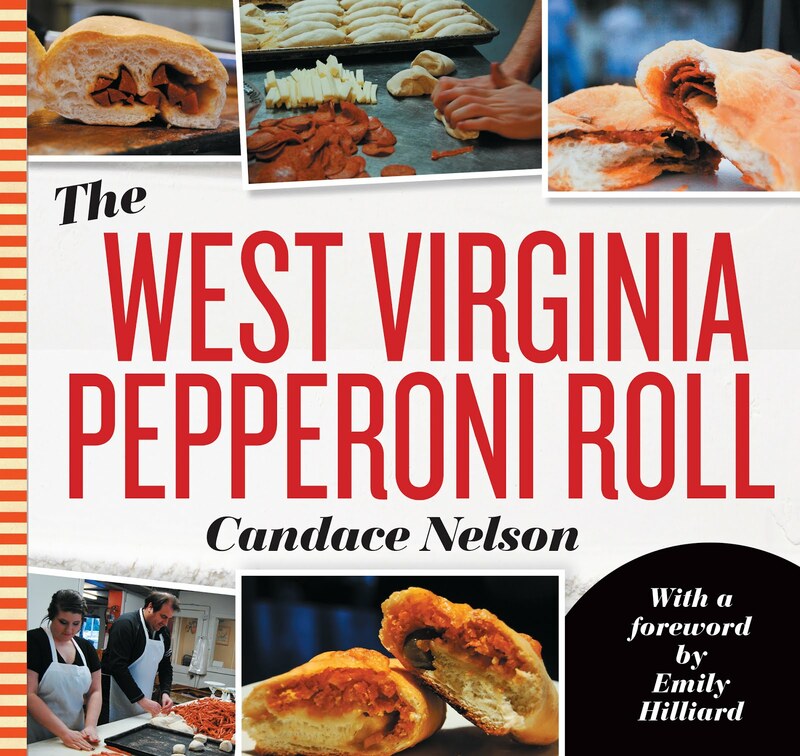 The pepperoni roll is unique to our state, and most outside of the area haven't had the pleasure of a warm, soft pepperoni roll. 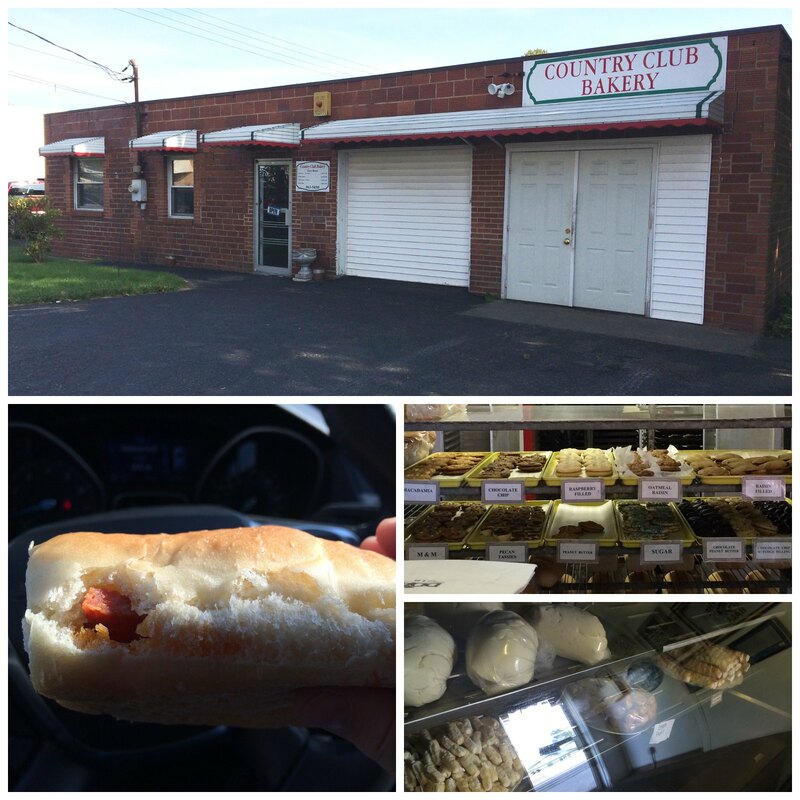 Country Club sits back off the road in a nondescript building. There really isn't anywhere to sit inside. Instead, grab one or a dozen and head out. They also have other bakery goodies. That seems to be what most folks do, as I saw a handful of people park, walk in and walk out with a bag just during the few minutes I was in my car. 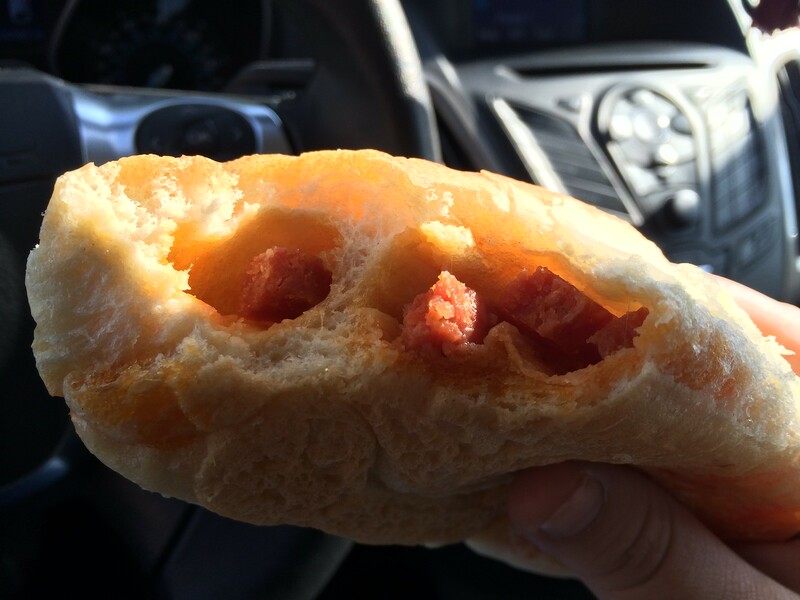 After Joel and I got our pepperoni rolls, he tried to explain to me how they were baked in order to get the perfectly fluffy but not too greasy bread as we sat in my car. I won't try to type all the specifics he had, but I know this: They're good. Joel can explain to you why with how they are baked and what ingredients, etc. I'll explain what my mouth tells my brain: these are hot, with spicy sticks of pepperoni, and this bread is soft and only slightly chewy. They're good. They're the original and simple... But well-executed. 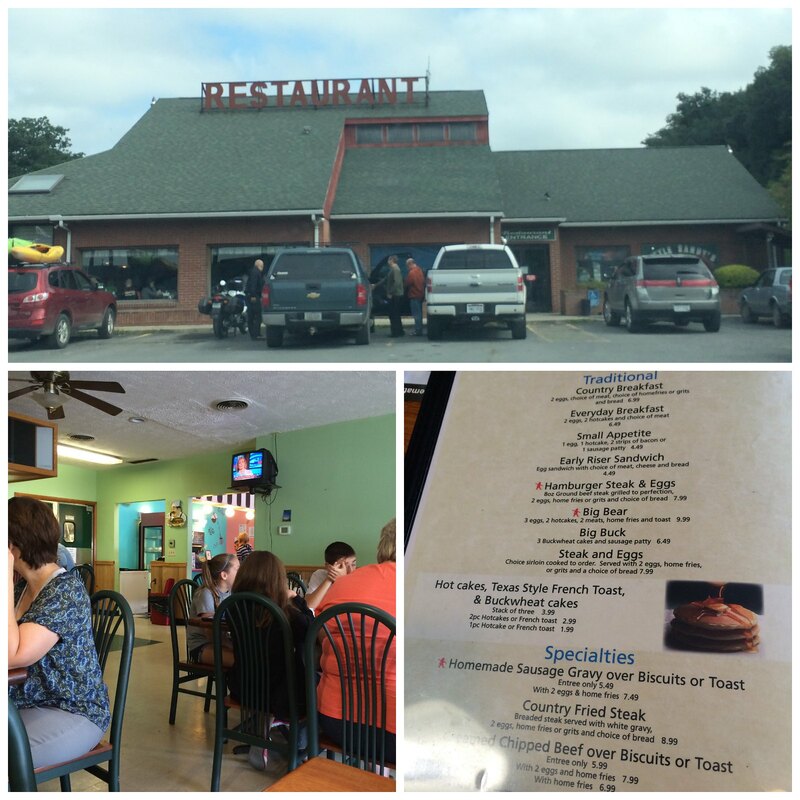 Bruceton Mills Edition: Little Sandy's, Inc.
Little Sandy's is just a local place that folks in the area rave about. Good, home cooked food that isn't really anything special. We went for breakfast - pancakes, eggs, bacon, sausage, potatoes, biscuits and gravy. All that good stuff. County-fried steak caught my eye. I don't see that all the time. So I went with that + over-easy eggs, home fries and toast. Before we talk food, let's talk atmosphere. Surly waitresses, slightly sticky tables and lots of flies. Greasy spoon. 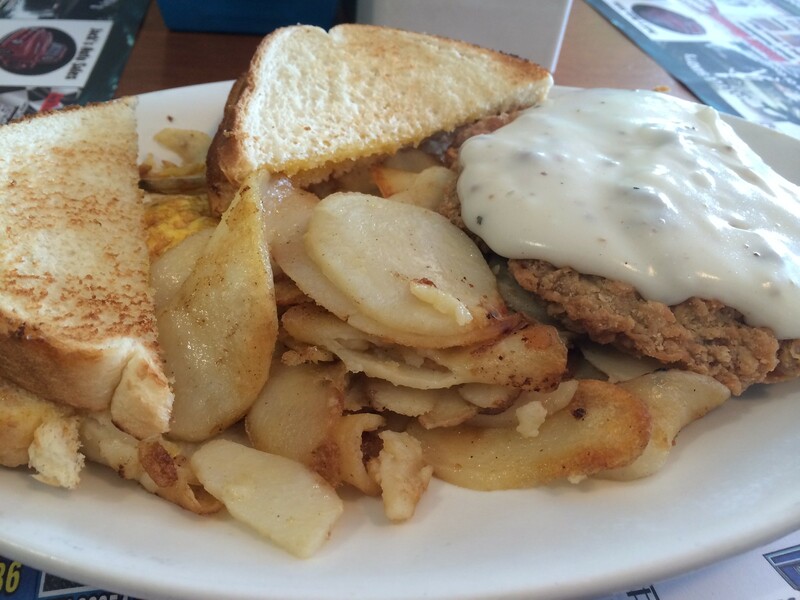 The country-fried steak was tasty. Crisp and tons of gravy. How can that not be good? Home fries were flavorful, but I wish they were a bit more crisp. Some were soggy. And my eggs were a little Overcooked, but I still had enough yolk to spread around and sop up with the bread. 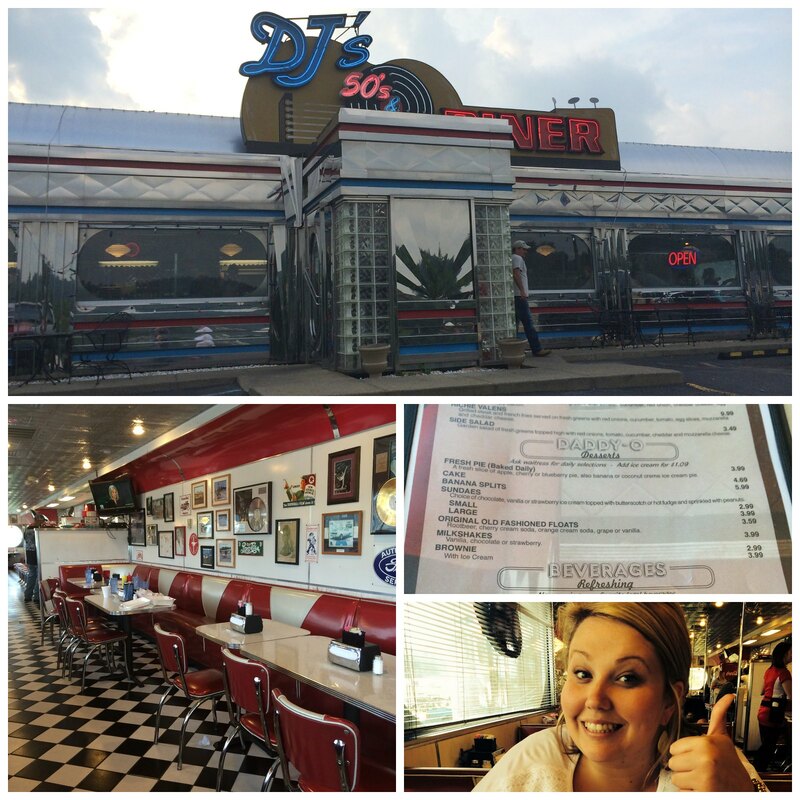 After our adventure at Copper House Grill, Afton and I drove down the road to DJ's 50s and 60s Diner for dessert. This place is essentially a tin trailer and tries to give off this genuine, old character feel which is completely manufactured. Records from bands in the 50s and 60s line the wall along with pictures. I imagine 50 other of these same restaurants having the exact same decor. And THE MUSIC. Was SO LOUD I could barely hear Afton across from me. Sigh. The ambiance needs helpp. OK. Dessert. I ordered the banana split at $6. I do love the idea of this old diner (ie I dig a good banana split or burger), but I just wish it wasn't as generic. When the banana split came out, it was a sight. 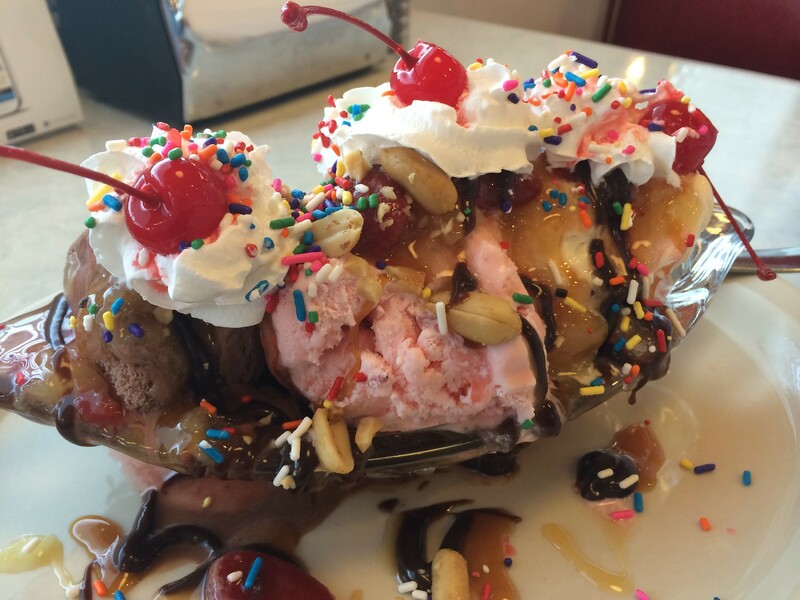 Three giant scoops of chocolate, strawberry and vanilla ice cream with chocolate syrup, caramel, sprinkles, nuts and cherries. It was a mess. A beautiful mess. So, I don't think you can really mess up a banana split. It's gonna taste good no matter. But, I can think of a dozen or so other places I'd rather have one. 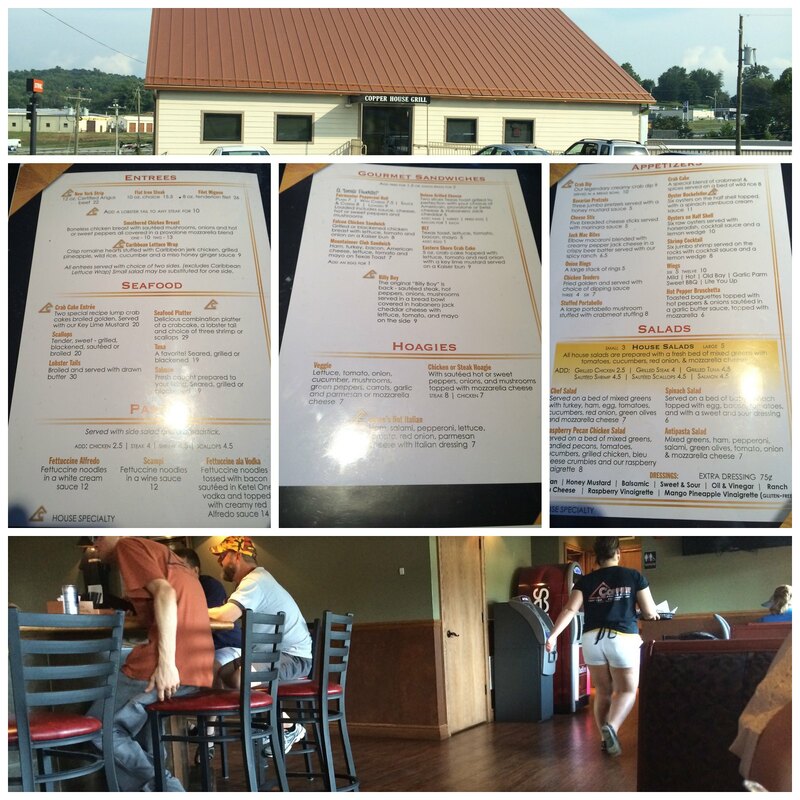 As I run out of new places to try in Morgantown, I have begun to explore Fairmont. Fairmont is rarely a destination for me, and I'm often driving through the area - rather than stopping in - but that's changing as I find more and more places I've never been. Copper House Grill is one. It's located not far off the highway and is easily recognizable for its - surprise - copper roof. In a refreshing change from Morgantown, parking isn't an issue as there is a large lot with ample space. When Afton and I walked in, it was a little awkward. The first thing you see is a dimly lit bar. Had I taken a wrong turn and ended up in a bar? Thankfully not. After looking awkward for a second, we were waved to a table past the bar area next to a window. Outside, there is a nice deck area for dining. It was a little too warm for us on that day. Entrees, seafood, pasta, sandwiches and hoagies made for a kind of eclectic menu varying in price, but a few dishes were especially unique - like the Caribbean lettuce wraps. Most, however, centered around seafood. 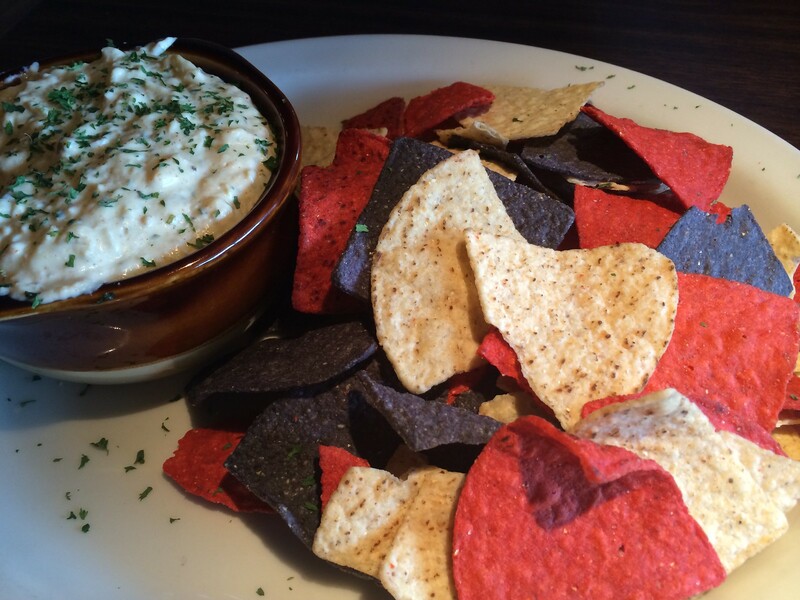 To start our meal, we ordered their "legendary" crab dip. With or without a bread bowl. We went without. It was out within a minute or two. So quick I worried how it was prepared. Did they make this and it's been sitting all day? I mean, it was crazy fast. We decided it was probably cooked in like a crockpot and just scooped as folks order. It came with black and red tortilla chips. And, it was OK. I wish it had tasted more fresh? Maybe actual chunks of crab? Tasted more like a cheese dip with crab flavoring. But, it was still tasty. I think I was just looking for more with "legendary" labeled on this dish. For my entree, I went with the scallops - sautéed. For my sides, I ordered garlic mashed potatoes and veggies. $20 for that didn't sound bad. Until I received my 7.5 extra small scallops. The entree portion was smaller than my potatoes or veggies. Either they need be larger or you have to give a little more. They looked pathetic next to my sides. However, everything tasted great. 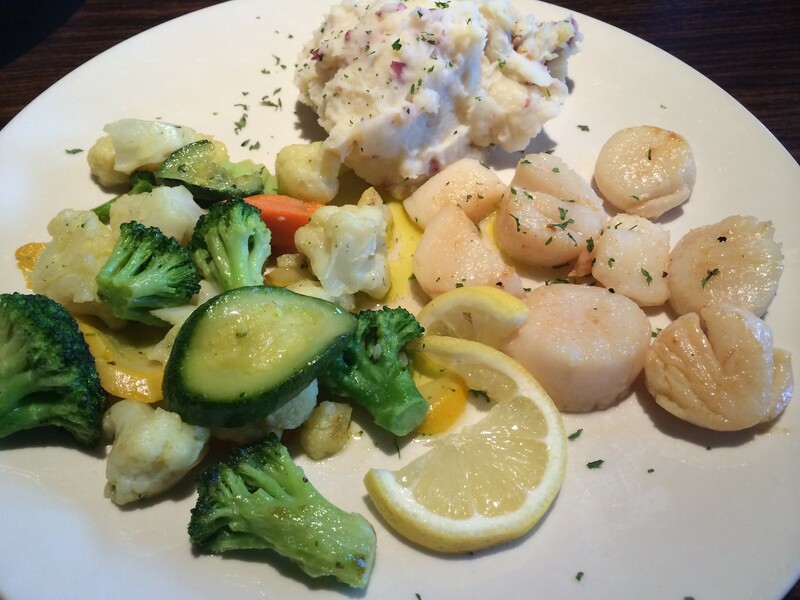 The scallops were seasoned and prepared well. My garlic potatoes were tasty and full of flavor. Veggies weren't bad either. And I know scallops aren't cheap. Especially if they're fresh. But when they're small and not even whole ones -- they need to not be as pricey. Check out their Yelp and TripAdvisor for more info. Have you passed that white brick building that sits just off of Beechurst Avenue? 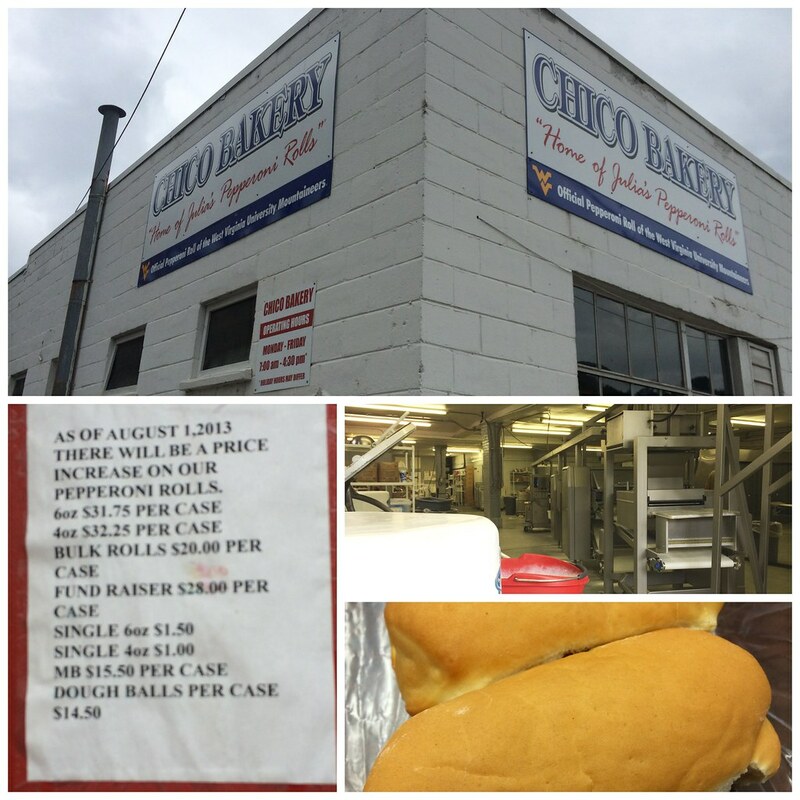 It has just a small sign in blue that says Chico Bakery. But no real storefront from the outside - mostly looks like production. Inside this building is where Julia’s Pepperoni Rolls are made. That ubiquitous gas station food found all over North Central West Virginia. I have wondered - for years - if you’re able to walk in this building or if it’s just a factory. While driving past this place one day, I said to Tony something along the lines of ‘I wonder if you can go in and buy pepperoni rolls right there.’ I’ve probably said this to a dozen of my friends. But his response was something along the lines of ‘go find out.’ Why not, right? We were passing it, and I was hurting for blog material anyway, so why not. I was relieved. This told me two things: That they DO in fact allow purchases right at the bakery. And they will allow me to have an individual pepperoni roll. As soon as I walked in, I stopped. I literally walked right into the factory. There were sacks on the ground to my right and a conveyor belt right in front of me. There was a small chain between two posts that said to not go beyond that point. There’s really no waiting area or reception area - it’s just the two feet area in front of the door where you stand. Until someone awkwardly comes over and asks if they can help you. The front isn’t manned by anyone. This man was working on the line and walked over to help me out. I asked for a pepperoni roll. They have three kinds: provolone, double-stuffed, and hot pepper cheese. I got a regular and a hot pepper cheese one. They were still warm. I handed him $2. The man slipped them into a plastic bag and sent me on my way. When I got back to work, they were still warm. And much fluffier than what you get from the prepackaged ones in the store. Light, fluffy and full of spicy slices of pepperoni. And the hot pepper cheese packed just a little bit more heat. 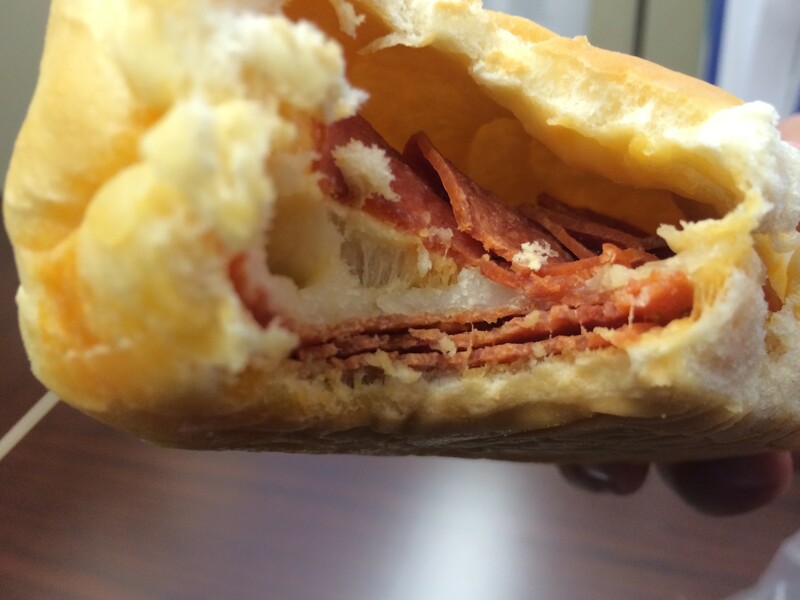 There aren’t many places in town you get can a hot pepperoni roll. And a pretty good one at that. I often wish Morgantown had some activities for the twentysomethings in town. Miniature golf? Free live music on Friday nights? More festivals or events? I digress. We do have something unique - a virtual golf bar. Tee to Green is sort of like guy heaven. Huge projection screens where you can play golf, no matter what the weather is like outside. 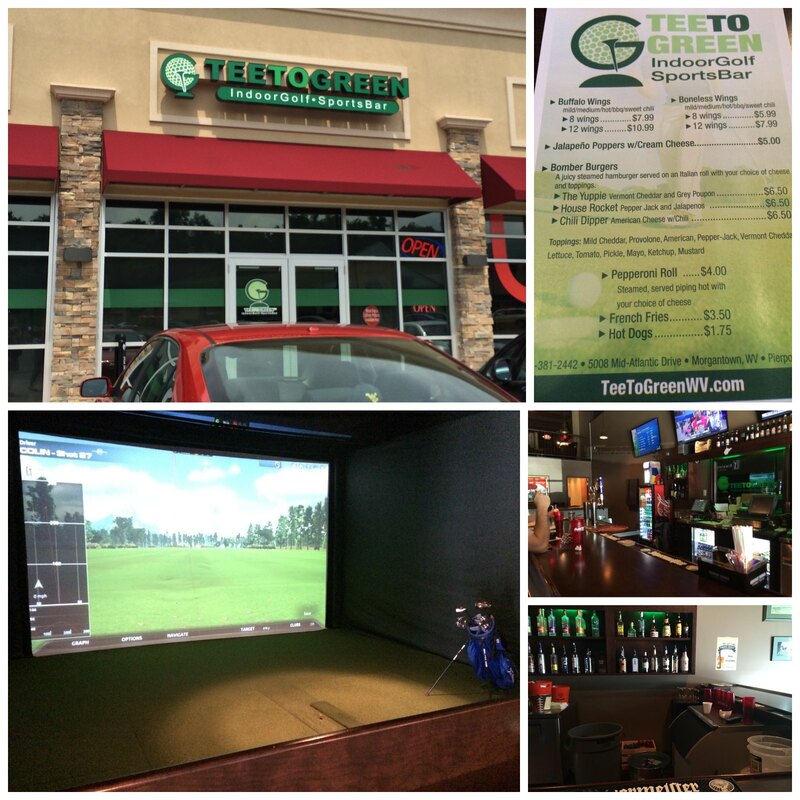 A sports bar focusing on golf. Plus beer and wings. OK, the last part appeals to me, too. While we didn't play golf, my friend Kayla and I did get some wings. The golf looked cool, though. 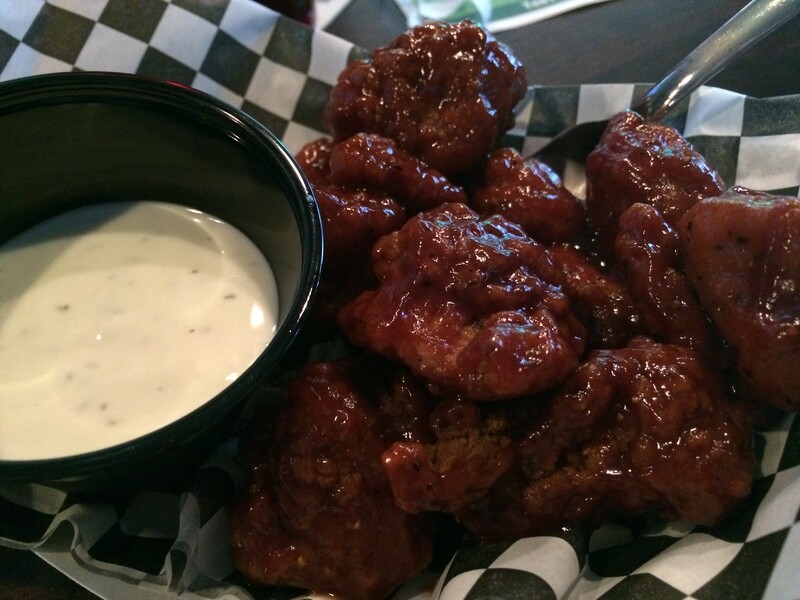 The wings, though, were actually pretty good. I got boneless with bbq. Plus some ranch. Crisp on the outside and tender inside. Good BBQ - nothing mindblowing. But overall tasty. We also saw the table over had nachos - though they weren't on the menu. Kayla asked to order those, too. And they're basic, but tasty. Overall - welcome addition to town for something fun to do. A very small menu - just snacks, really - but good. If you have some free time, check it out. 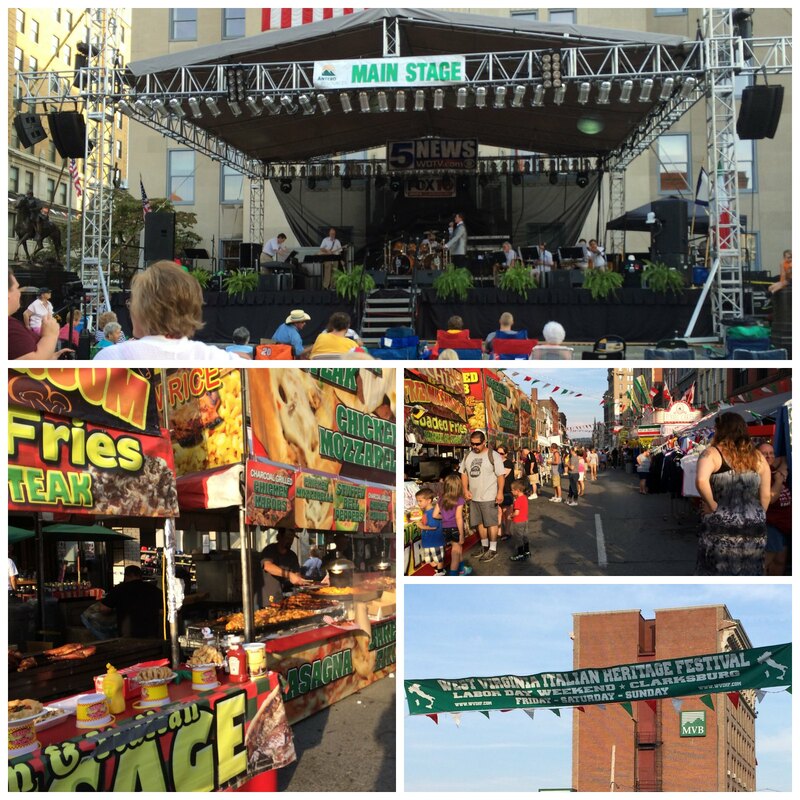 The 36th Annual West Virginia Italian Heritage Festival in Clarksburg was a pretty cool time. In addition to some music, I got to try lots of wines - and mostly from wineries I haven't heard of. and Kirkwood I have heard of. The wine garden was great to explore some of those wineries. Remind me to do a blog post later listing all the wineries so I can start checking them off as I go to them. Also - I was able to try a D'annunzio's pepperoni roll! So good. Also had fritti from The Blue Bird, which is just like a donut - but thinner and more wobbly. Technical terms, people. Pretty fun, and fairly cheap. The wine garden was $10 for samples and the cup. 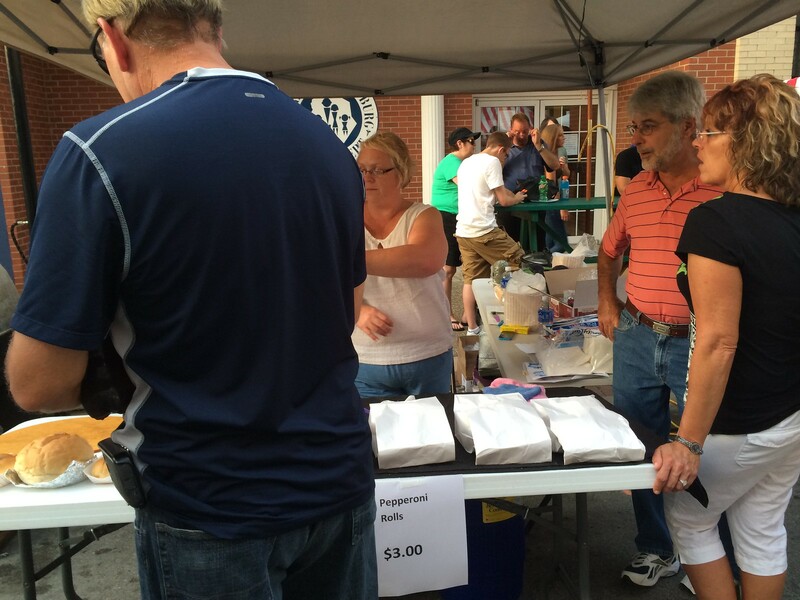 My pepperoni roll was $3, and fritti - just $1. 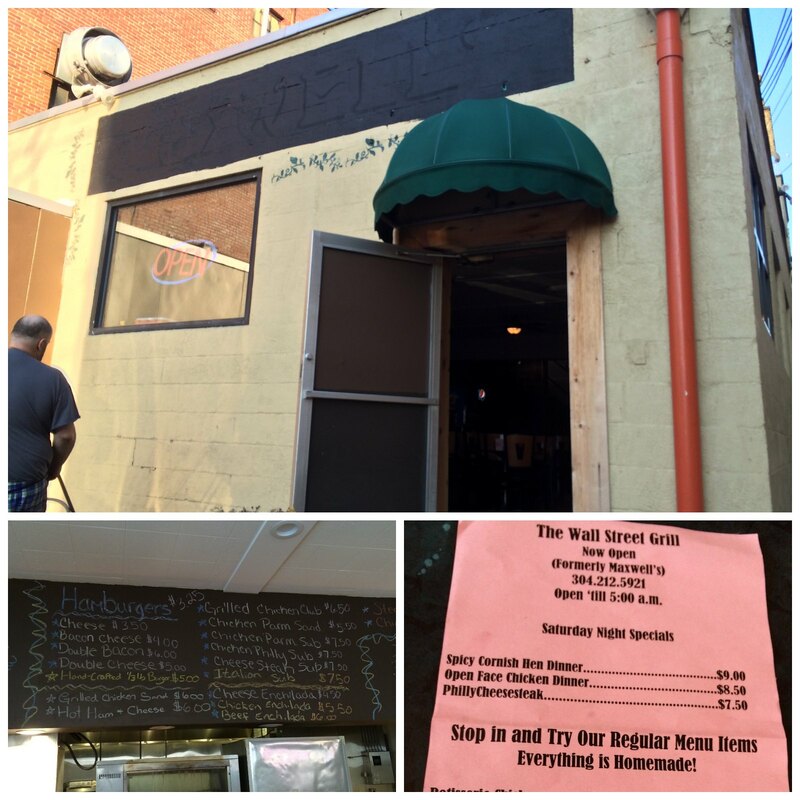 The other place in Huntington that I was really excited to visit was Backyard Pizza. Unfortunately, their building caught fire and caused some damage to the restaurant, as well as another burger restaurant I was hoping to visit. 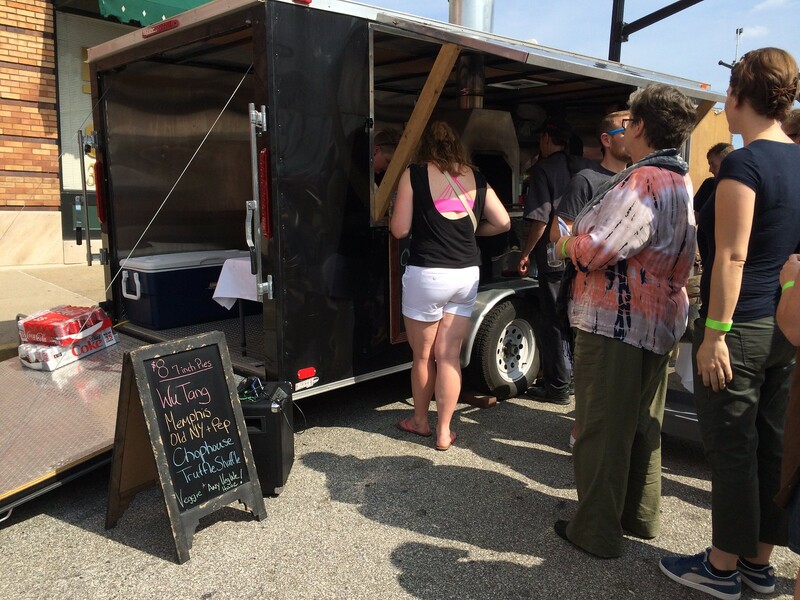 Luckily, Backyard was actually operating out of their food truck at the beer festival, so I got to try it. They were offering three pies: the Woo-Tang, Memphis Olde, Chophouse, and Truffle Shuffle. After consulting with my friend and others in line around me, I went for the Woo-Tang: hickory grilled chicken, bleu cheese crumbles, fresh shredded mozzarella, roasted red peppers, diced jalapeno and red onion. Finished with cilantro, drizzled with honey, Sriracha and lime schwing sauce. Ohhh my god. This was SO good. Salty, Smokey and sweet. And amazing. Everything was fresh, delicious and the flavors were perfectly complementary. 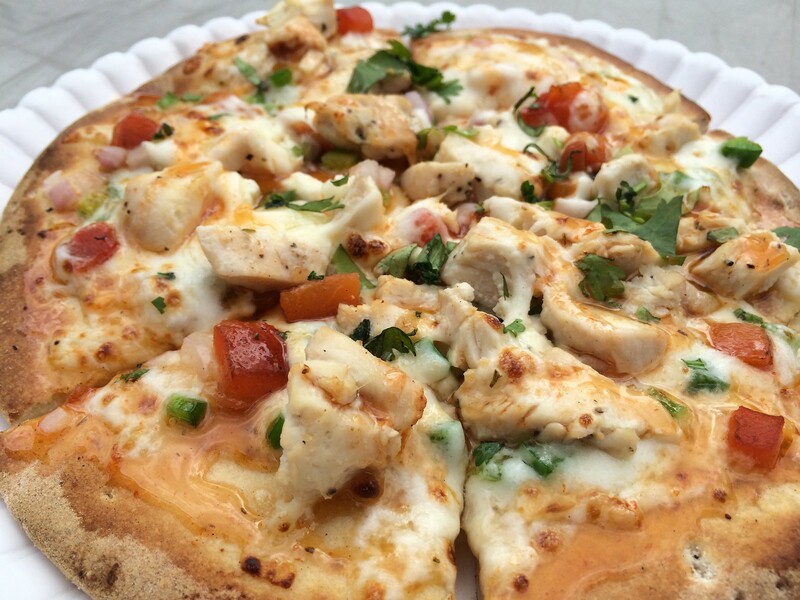 I especially loved the cilantro, lime and honey flavors. Just awesome. As soon as they reopen, I'll have to plan a trip back to Huntington. When I was in Huntington for the beer festival, I stopped by Black Sheep with new/old bff +Chris J for some hipster burritos. Black Sheep has a location in Charleston that I have visited, but I was pumped for the original. It was packed. Wall to wall filled with people. And lots of cool art. 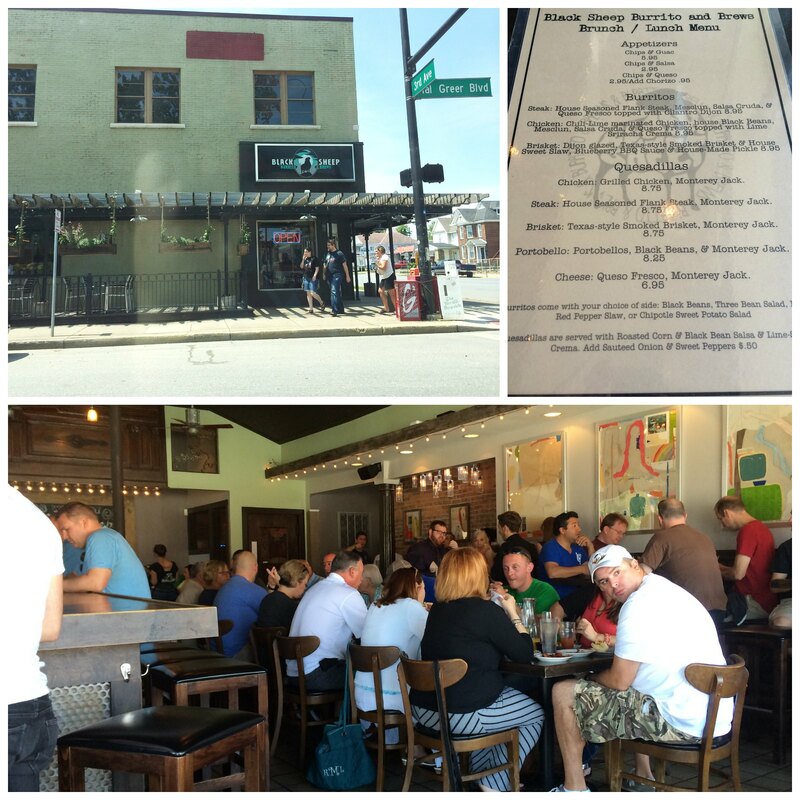 The brunch menu is filled with burritos you wouldn't expect (kind of like Black Bear) and local beer. 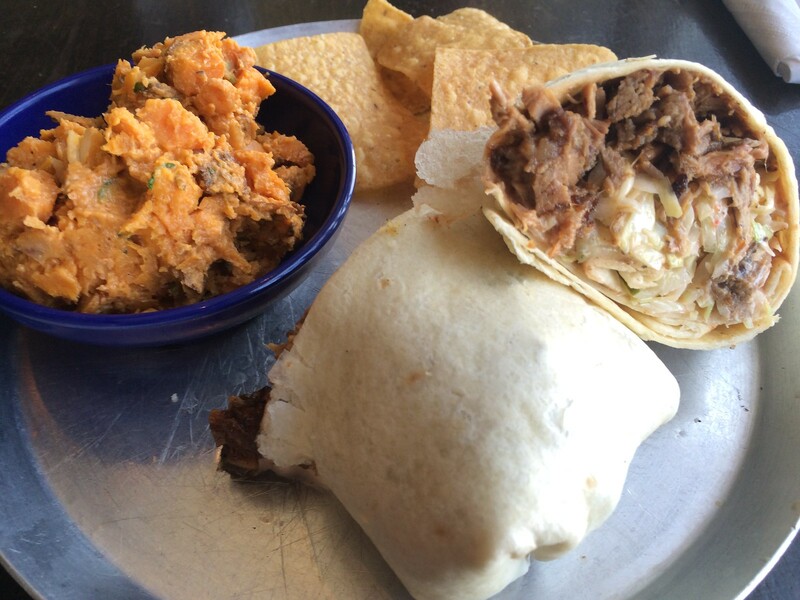 The burrito that caught my eye was the brisket: dijon glazed, Texas-style smoked brisket and house sweet slaw, blueberry bbq sauce and house-made pickle. Plus a side of chipotle sweet potato salad. The burrito was pretty good. The blueberry bbq sauce had kind of sunk to the bottom of the burrito, but once I realized that, I tore it apart so I could have a little in each bite. Then, it was pretty awesome. Lots of flavor - and unique flavor, at that. Moist meat, crunchy slaw. All around pretty good. And the potato salad was awesome. I love a sweet potato salad, and this had just the slightest tiny bit of kick. Delish. Maxwell's was a mainstay in town - around for 37 years before it went out of business. What happened next is confusing, as some sort of legal battle ensued. 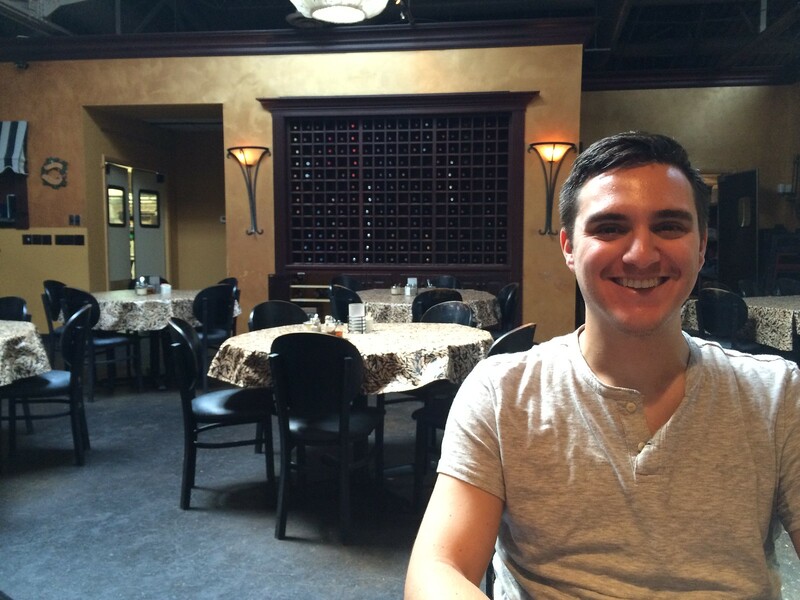 The landlord and owner were fighting, and the restaurant building sat empty for about a year. 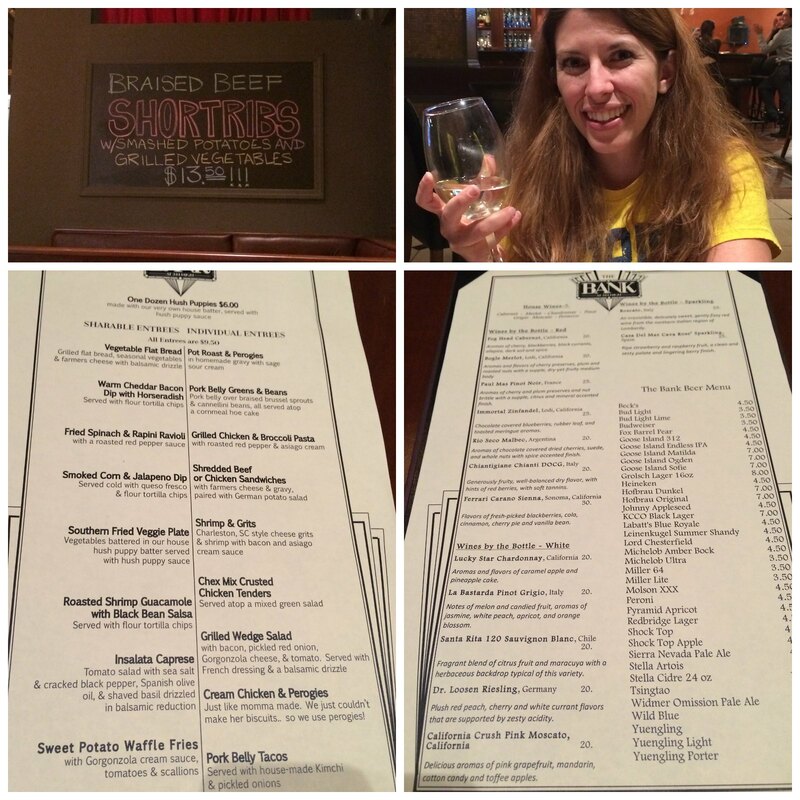 Just in the past week or so, a new restaurant has reopened in the space - "The Wall Street Grill." The chef told me they bought the namesake, etc., but they've still renamed themselves. They're nearly invisible on the Internet, and I only knew they were open because a friend stumbled upon them late one night. 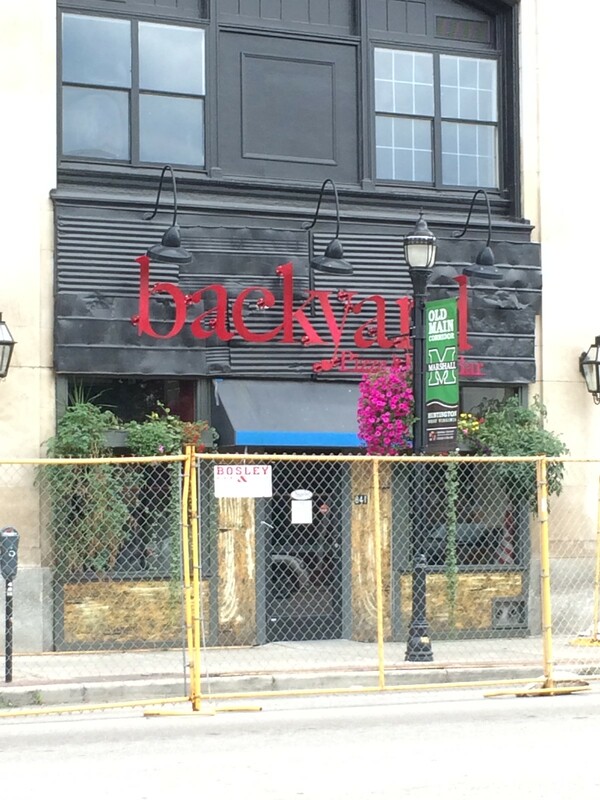 Like a previous restaurant that was short-lived in this space, they're trying to do a late-night only thing right now, considering their proximity to the bars downtown. The chef said he gets there about 5/6 p.m. and doesn't close up until 4/5 a.m.
Their menu is written in chalk above the kitchen, but it's mostly homestyle - burgers, open-face chicken dinners, whole cornish hens, slaw, and a hot deli bar. The open-faced chicken dinner was the most popular, he said, so that's what I went for. The chef was the only one in at the time - but we were the only diners, so it was OK - and he mentioned how he was an owner of the Rusted Musket. He then took some time off. He's not the owner of this place, but he is the chef and has had some trouble hiring a staff. 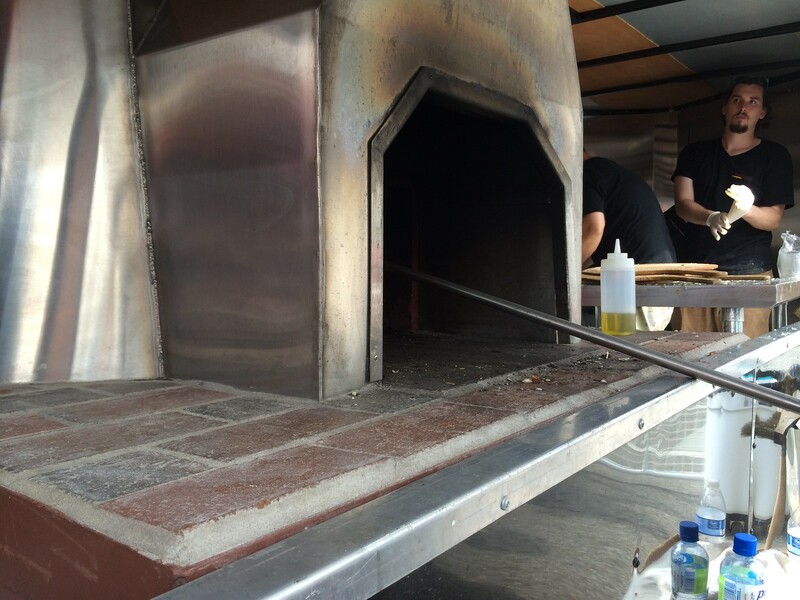 He said he hopes to be open for lunch and maybe even do delivery in the future. The dish was good, but just a bit bland. 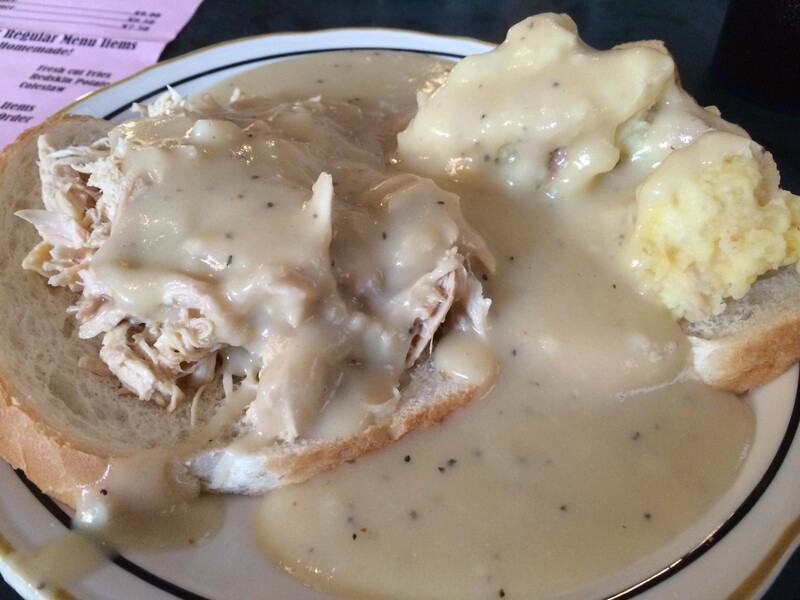 I wish the white bread was a roll, and the gravy was a bit more flavorful. I'm assuming the chicken is from the rotisserie, but maybe some of the fat and juices could punch the gravy up a bit. The potatoes were pretty good. The place is a little rough around the edges. No menus to pass out (yet), and the ice wasn't working in the fountain machine. But they're just opening, so it may be just that. Or it could just be that it's going for that vibe. Either way, if you're looking for some hot American meals, this seems to be the place downtown for that. The restaurant business in Morgantown is cutthroat. New restaurants are popping up all over, replacing ones that floundered in mediocrity -- something simply not good enough with the amount of competition in this town. The Bank at 344 High is brand new - replacing most recently The Dancing Fig, which seems to have moved into the ZenClay location (the cafe closed, but the pottery portion seems to remain open). Before The Dancing Fig, the location was Lira, And before that, it was a Wesbanco (hence the name 'The Bank'). I met my friend Lisa here to check it out. 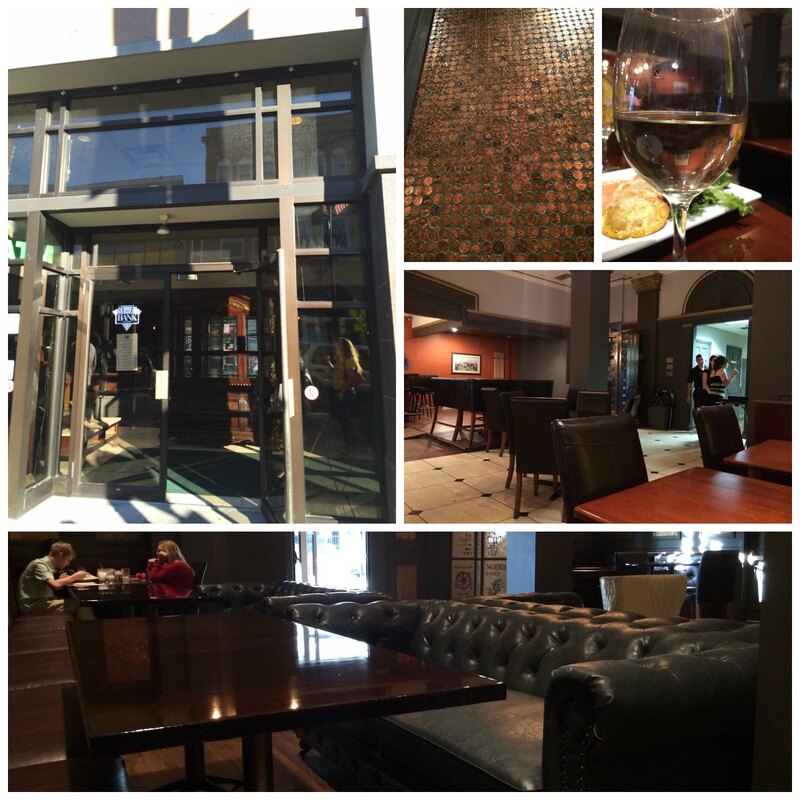 It has the same general feel as the previous two restaurants: dark woods, classy with a touch of modern. I dig the decor. They have these frames full of pennies around the interior, which is a neat touch. We started off with a glass of wine. You only have the option of their house wines by the glass. Cabernet, merlot, chardonnay, pinot grigio, moscato and prosecco are the only options. All are $5. There are many others, but it seems they'll only sell those by the bottle. Appetizer time. Our server admitted it was her first day, but she was helpful. The menu had the hushpuppies at the top for $, down the left side were shareable entrees, and the right side was individual entrees. Everything else is $9.50. We ordered the basket of hushpuppies and the fried spinach and rapini ravioli with a roasted red pepper sauce to share. 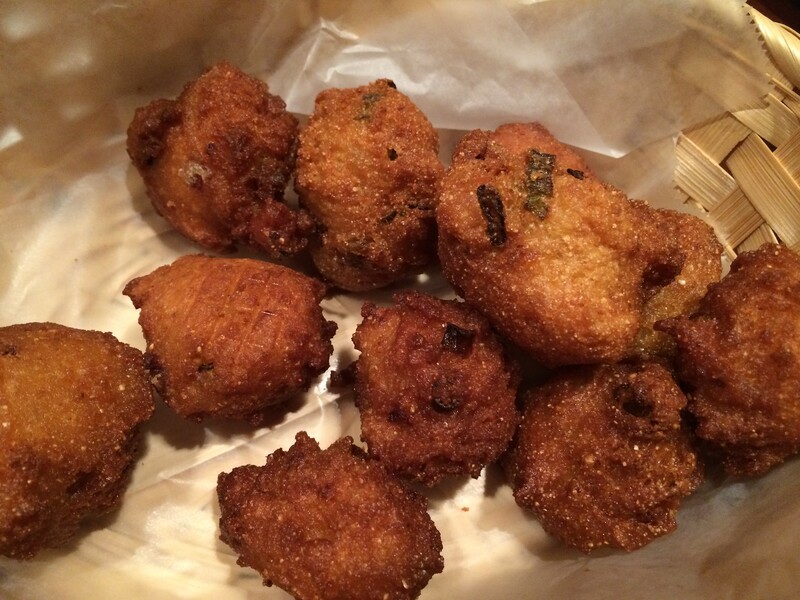 The hushpuppies were mediocre, at best. They were incredibly greasy - "but Candace, of course hushpuppies are greasy." Grease like running-down-my-hand greasy. All I could taste was grease flavor - where's that comforting corn, fluffy onion flavor? Nah, just grease. Their sauce was better than the hushpuppy itself. The ravioli was better. They were fried with some cheese on the outside. 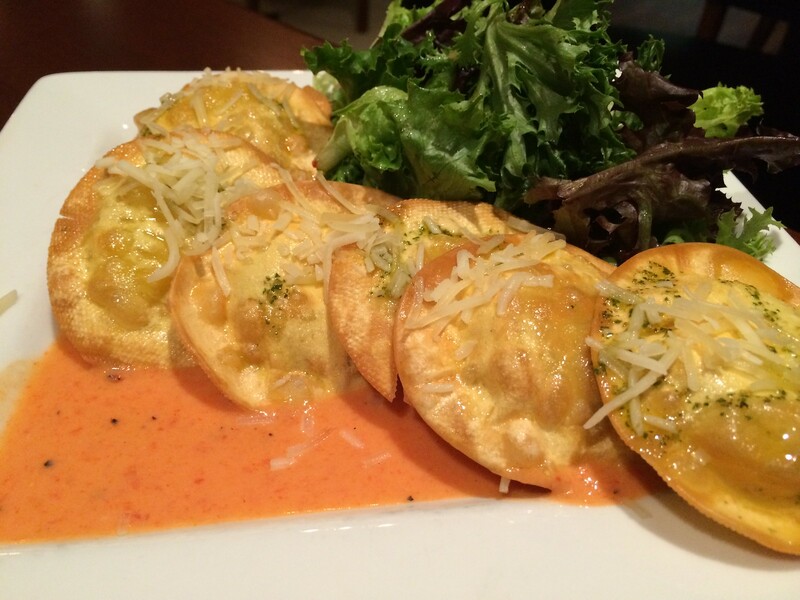 The roasted red pepper sauce was tasty, but the filling of the ravioli wasn't my favorite. Maybe a texture thing, but it was mushy and just a little off. Needs to be thicker. For my main entree, I ordered the shrimp and grits. 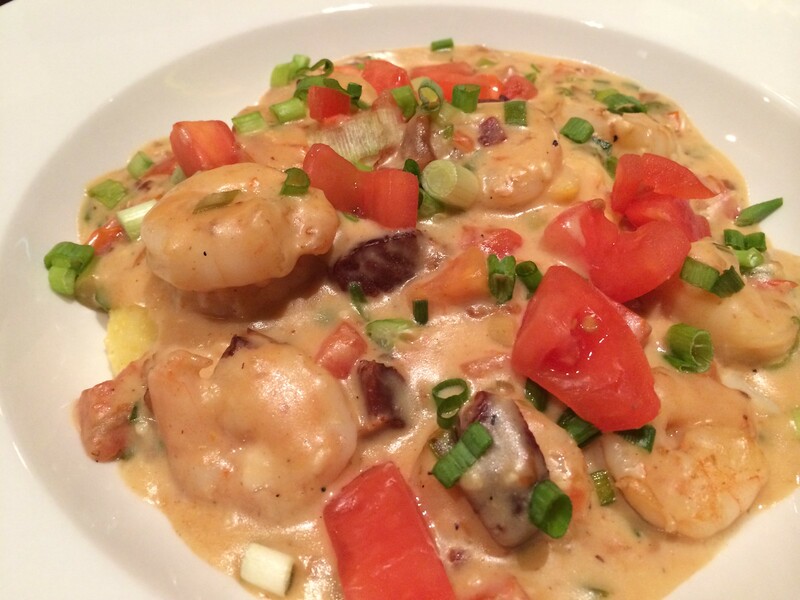 Billed as Charleston, South Carolina-style cheese grits and shrimp with bacon and asiago cream sauce. I really dig this dish, but this version kind of fell flat for me. Lots of fresh toppings, but the main components were kind of bland for me. The sauce wasn't particularly flavorful - and neither were the grits. It looks beautiful. I just want more from it. More flavor. More cheese flavor. More something. However, considering they're new, it could just be a matter of time before the flavor is kicked up. And I hope so, because the theme of mediocrity has been a downfall for the previous restaurants.